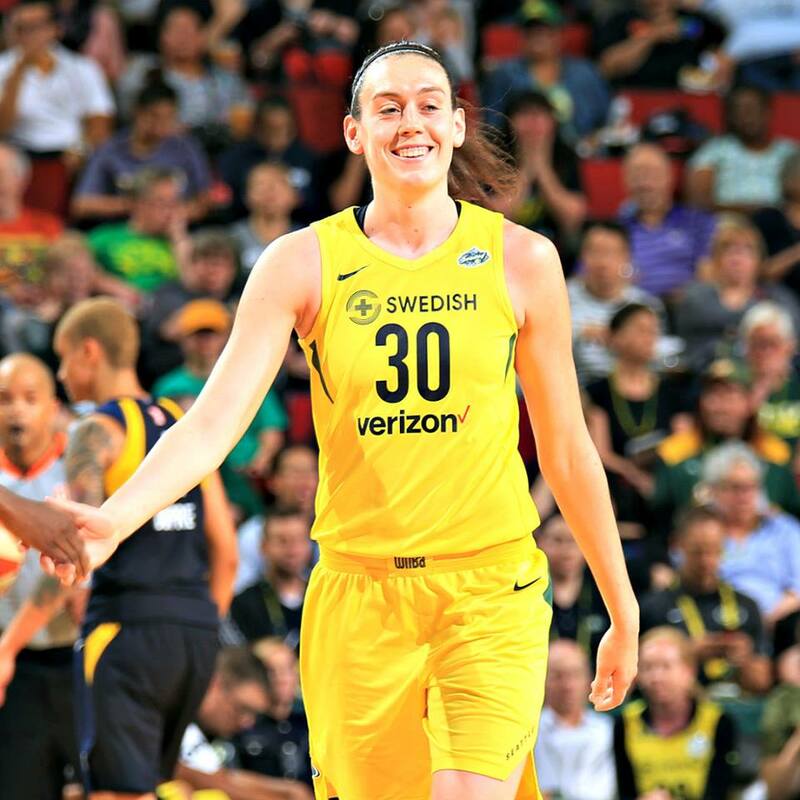 2018 WNBA MVP Breanna Stewart had a dominating season. Neil Enns/Storm Photos. About halfway through the season, the serenading chants for third-year Seattle Storm forward Breanna Stewart began. “MVP! MVP!” home crowd fans screamed at KeyArena. Then three weeks ago, as the Storm entered the playoffs, the prophecy came true and Stewart was named the WNBA’s regular-season Most Valuable Player the day before her 24th birthday. If the honor wasn’t surprising, it is noteworthy, because Stewart still has so much more room in which she can improve her game. 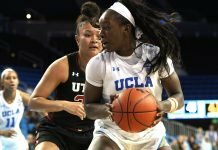 Her scoring production was up more than three points this year from last (21.8 per outing), on improved field goal percentage from both the two- and three-point line. Stewart shot 52.9 percent, up from 47.5, from two and 41.5 percent from behind the arc – an improvement of four percent. She also beefed up her skill set, as her improved low post moves were on display this season, and she added a hook jump shot that is veritably unguardable with her 7-1 wingspan. Stewart is a hard worker on the floor who has a lot of patience, especially for a younger player. But even more striking than her statistics and new moves in 2018 was Stewart’s approach to the game: she was aggressive, assertive and confident, and played in attack mode regardless of the opponent. “For somebody who consistently has presence and consistency, (who) wants the ball and consistently is winning your team basketball games, that’s an MVP,” veteran point guard Sue Bird said after Seattle beat Washington in Finals Game 2, led by 25 points from Stewart. Stewart’s career statistics so far are reminiscent of Storm great Lauren Jackson, who was also drafted No. 1 and won the MVP award in her third season. 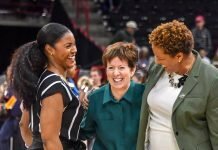 Jackson began to dominate with increased shooting acumen, diverse skills and frequent game takeovers, which won her the Most Valuable honor twice more before injuries forced her into retirement. Like a young Jackson, Stewart needs to be physically stronger and more aggressive on defense. If she drove up the middle and took the extra dribble before shooting rather than pulling up for the jumper, she would score more. And if she posted up often and perfected her sky hook, she would be unstoppable. 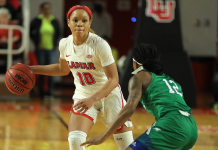 Once Stewart masters consistency and eliminates small game lapses, she will become more like Jackson, who made torching the scoreboard seem effortless as she unleashed onslaughts of buckets. Stewart – who won Finals MVP, as well – also showed this year that she can be a floor leader. Though Seattle is still Bird’s team for now, it will be in Stewart’s capable hands when Bird retires sometime in the next five years. Whether or not the Storm have hatched a dynasty, as some have suggested, remains to be seen. But Stewart’s impending greatness is written all over the wall.